Just north of the African continent, a little southeast of Italy and southwest of Turkey lies the island of Crete, the southernmost island in Greece. 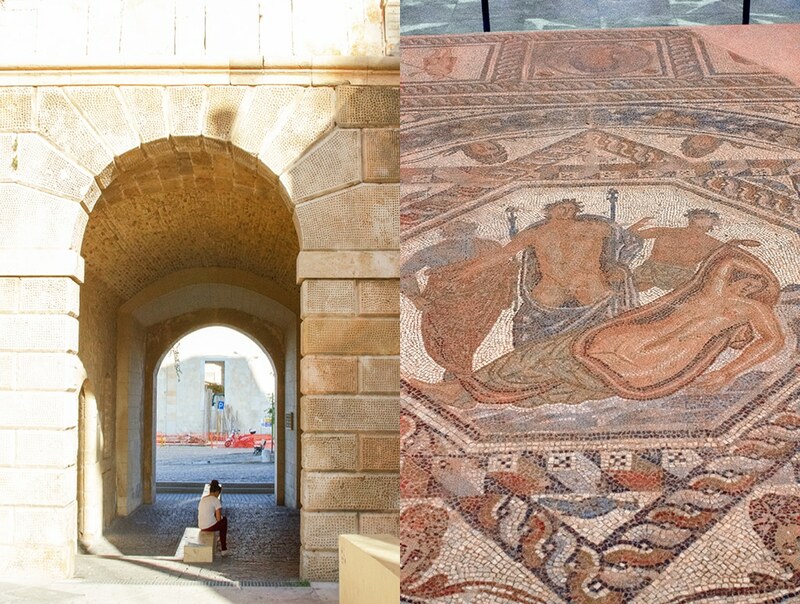 Its location plumb in the middle of the Mediterranean Sea has made Crete a stopping-off point for thousands of years. Throughout history, anyone going from here to there in the Mediterranean likely had a layover in Crete. And these successive waves of traders, marauders and pirates are the keys to understanding the many layers of modern Crete. Much of the flux in Crete has centered on the city of Chania in the west of the island. Here the successive layers of conquest and immigration by various Mediterranean and European groups are hidden in plain sight. You just need to know a few clues and, like an x-ray machine, all the intricate layers of history are revealed. Today’s invaders of Crete are mostly package-holiday goers, a relatively benign force that, as a rule, stays in camp, rarely venturing out. 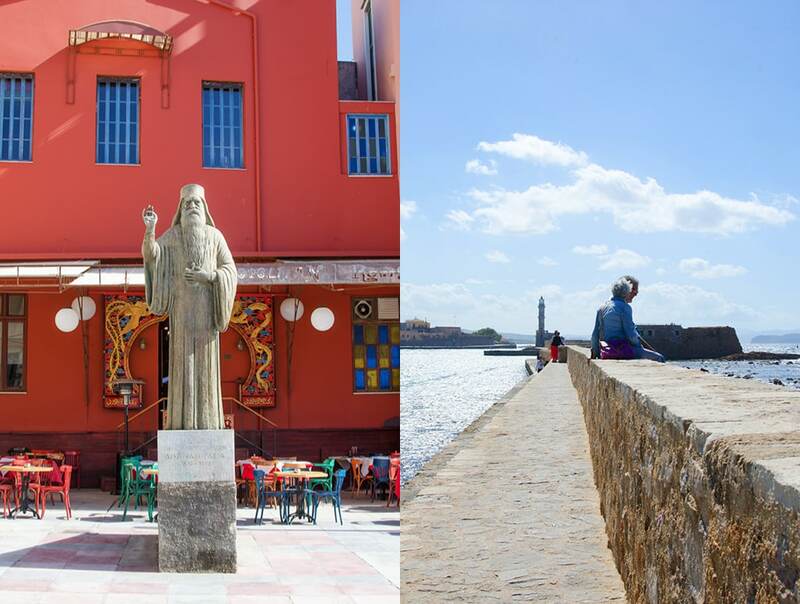 When they do go out, a popular destination is the historic and beautiful harbor at the center of the old city. 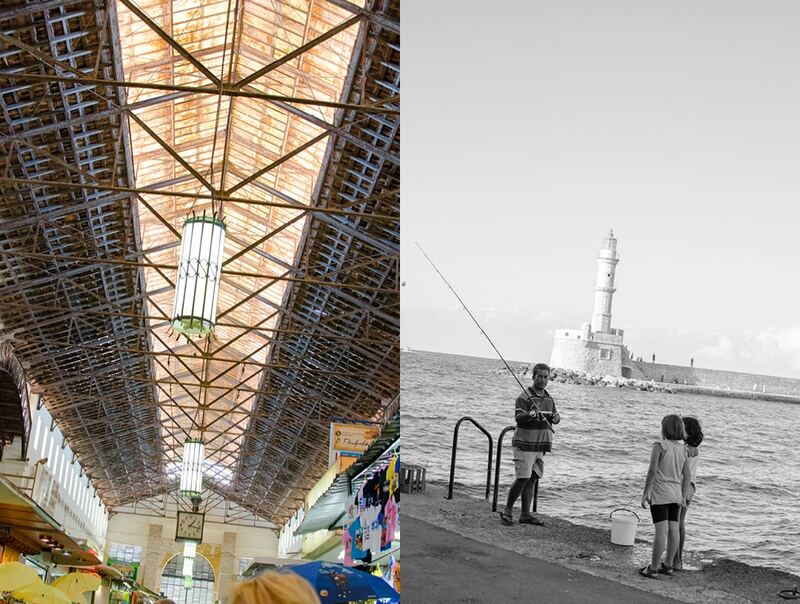 On our initial visit to Chania, we too headed straight for the harbor in search of history, local culture and fresh regional cuisine. What we found was fast food, cocktails and the drumbeat of euro-pop echoing across the deep blue waters. 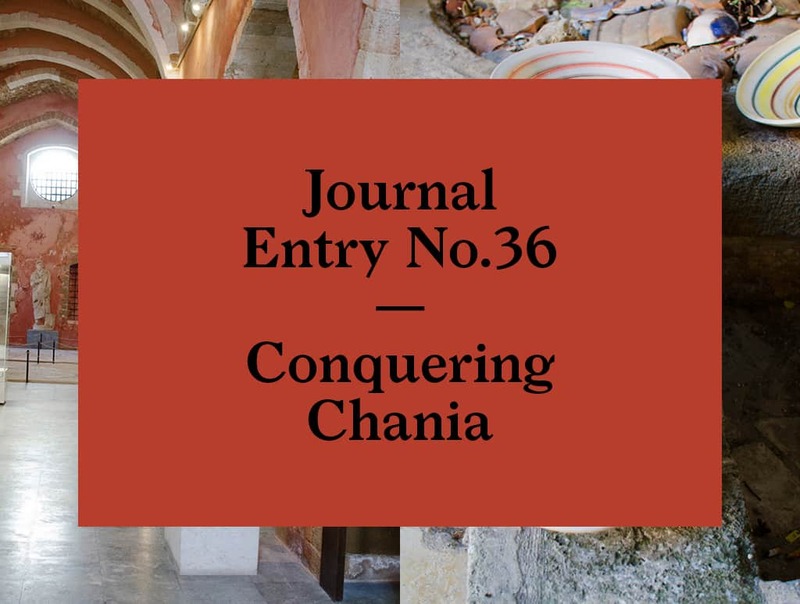 Briefly disoriented, we thought surely this is not the Chania we had read about. Were we mistaken about this place? We quickly changed strategies. It is true that Chania’s harbor is the most picturesque part of town, and probably, for this reason, uncontrolled development has taken over, making the place a bit of a mess. 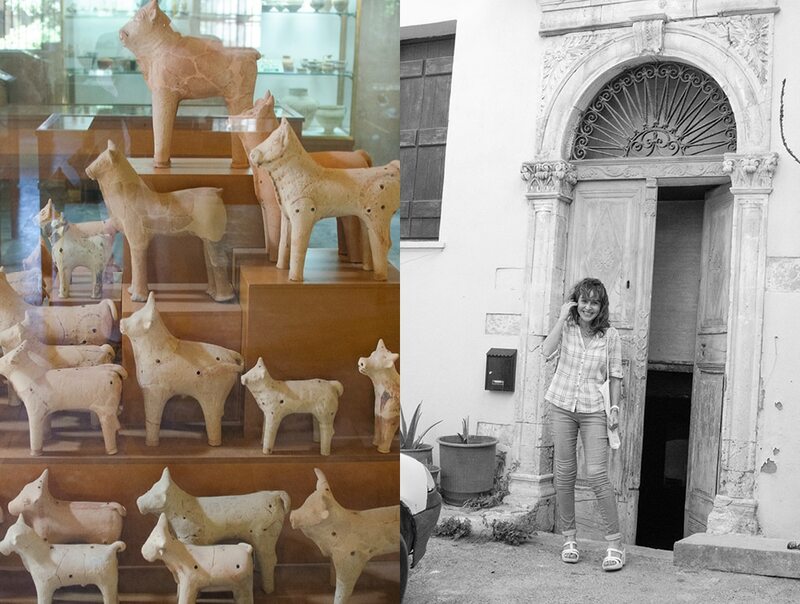 Realizing we needed help ferreting out the hidden delights of Chania, we sought professional assistance. Dr. Alexandra Ariotti is an Australian born archaeologist and historian. She works all over the world researching, lecturing and digging. 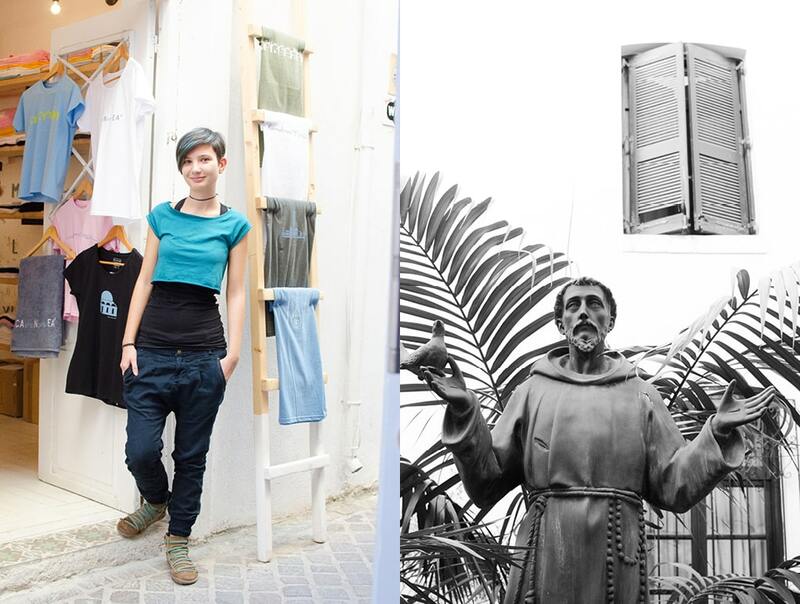 She has extensive experience around the Mediterranean and a particular focus on the Middle East. However, when she is not working abroad, she calls Chania home. 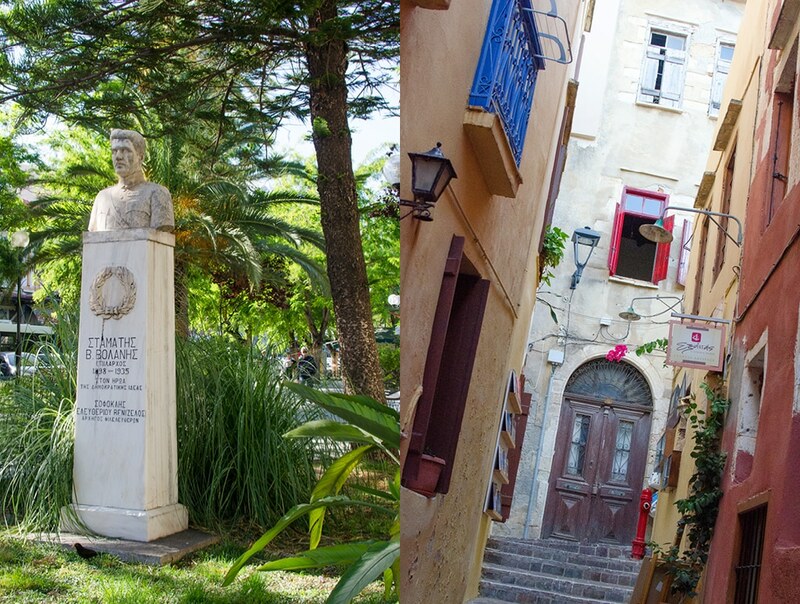 Alexandra hosts fabulous private historic walks, each lasting 2.5 to 3 hours, guiding you through a maze of streets and alleys on routes which reveal the mysteries of Chania’s fascinating history. Alexandra knows the city inside and out. 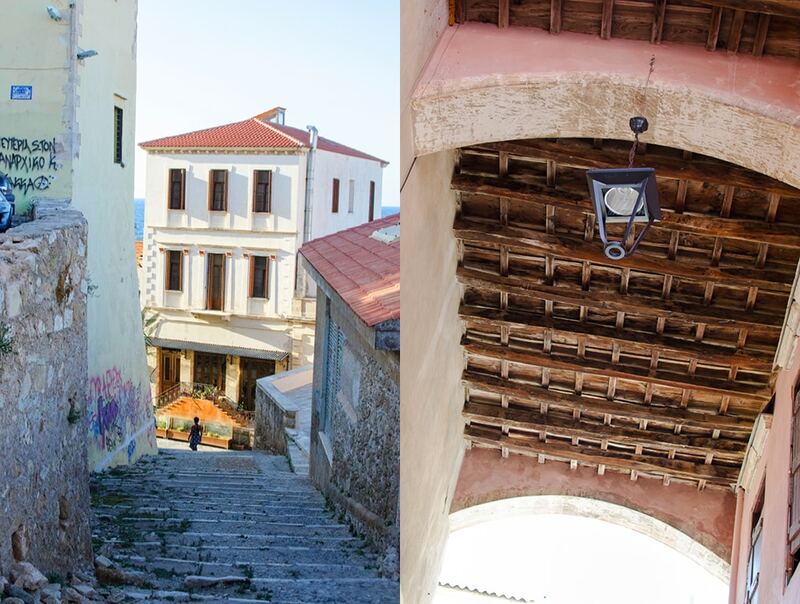 Listening to her weave historical and present-day Chania together brings the place alive. • Chania is the second largest city of Crete and until 1971 it also was the capital (today the capital is Heraklion). The old town of Chania is the site of the Minoan settlement the Greeks called Kydonia, Greek for quince. 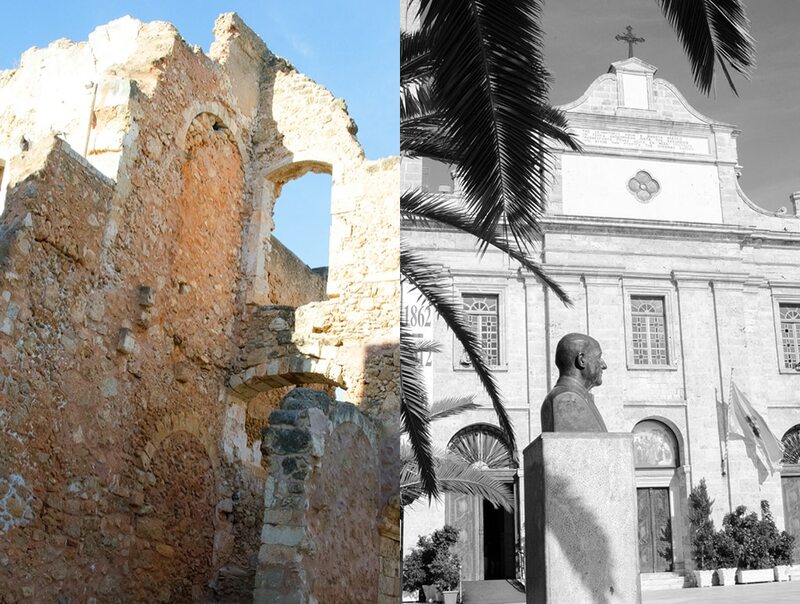 • Crete has quite a tumultuous history due to its strategic location in the Mediterranean. Ever since the Byzantine era, the Venetians, the Ottoman, all the way up to the Germans in World War II, fought for and occupied the island. You can see the scars of conflict all around you. Alexandra points out the dividing lines in some of the excavations, where one group co-opted buildings from the past to build on Crete’s evolving urban landscape. 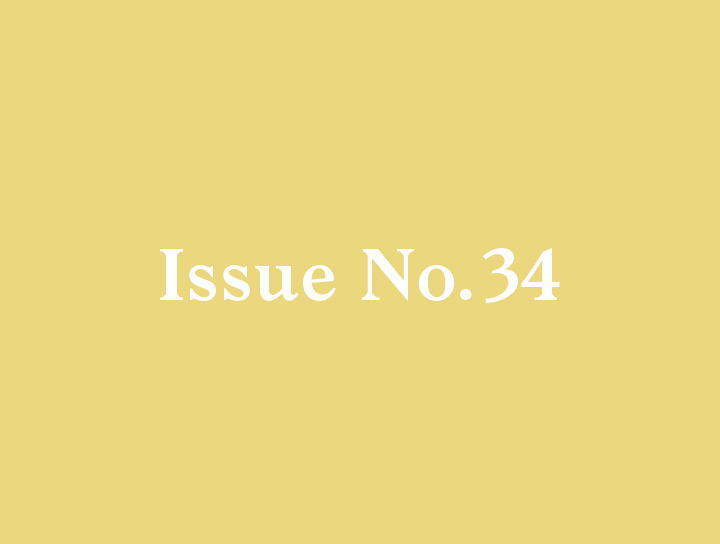 • Walking around town you come across various excavation sites seamlessly woven into the fabric of a neighborhood. Some of them feel a bit neglected, but since everywhere you scratch the surface you stumble across some important archeological find, important ones are simply stabilized, protected and left for future research. • We saw many old houses falling apart and in ruins while right next door a house would be beautifully restored and fully occupied. Alexandra explained that in World War II during German occupation, the city was heavily bombed, killing the occupants of the buildings. 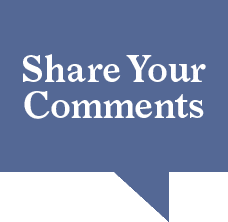 Ownership is often shared between family members or is murky with the former owner deceased. Without clear ownership or agreement on who can develop the homes, they fall into disrepair and eventually fall down. • Walking through town while Alexandra points out details dating back to Minoan times is like walking through a mystery novel. All the while locals come and go among the ancient structures seemingly oblivious to the history around them. 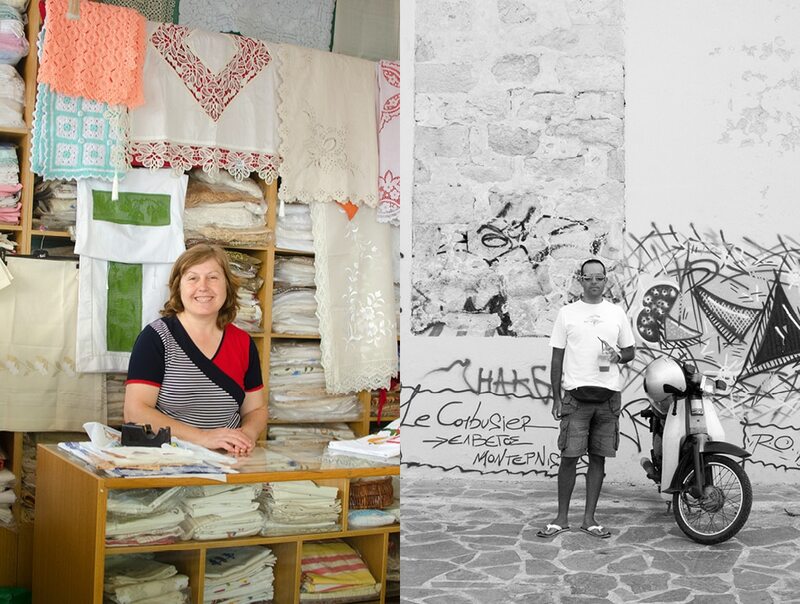 • Walking through the market area where in days past fine Cretan leather products would have been made and sold, we notice that most of what’s on offer is imported. There are exceptions though. 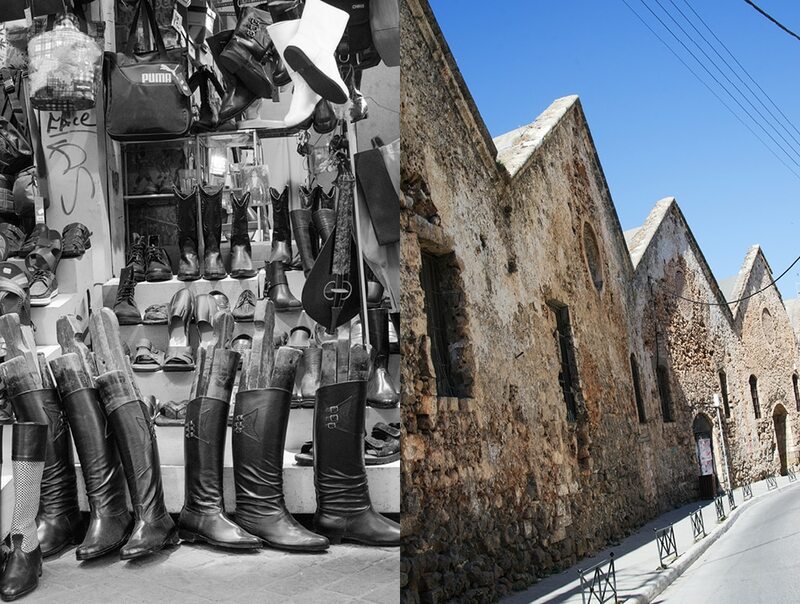 We found one obscure shop still making the famous black leather boots worn by men throughout Greece. You have to look hard but there are a few shops that still practice the traditional Cretan crafts. Having completed our time with Alexandra we had a good overview of the old city and could start navigating on our own. We set out to explore some more. 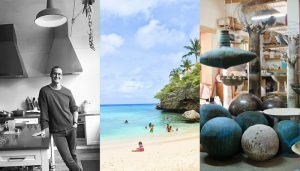 Here are some of the places we found that are worth checking out. 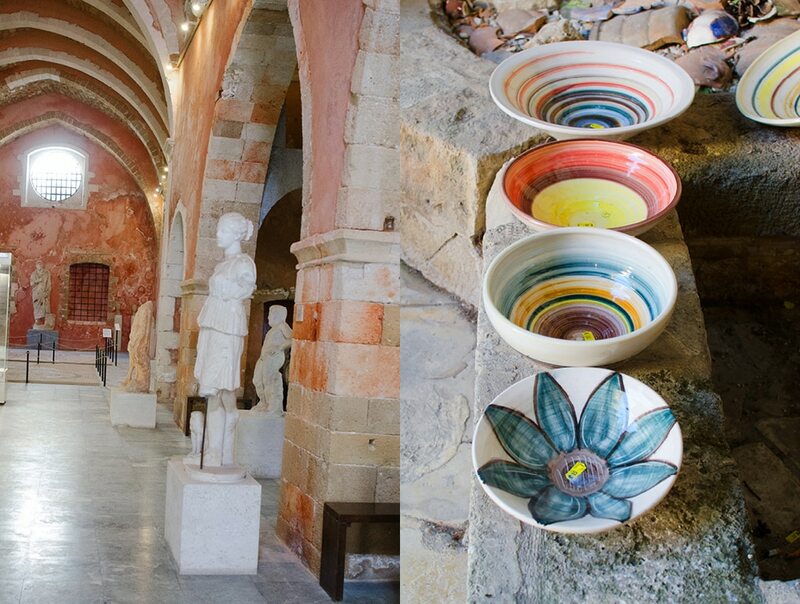 The museum is housed in the former Venetian monastery of Saint Francis, a truly wonderful place to explore. The old worn walls in pinkish colors and the 1950’s-era museum cases make for an interesting mix of styles. You can see jewelry, vases, sculptures and coins from the Minoan, Roman and Byzantine times. 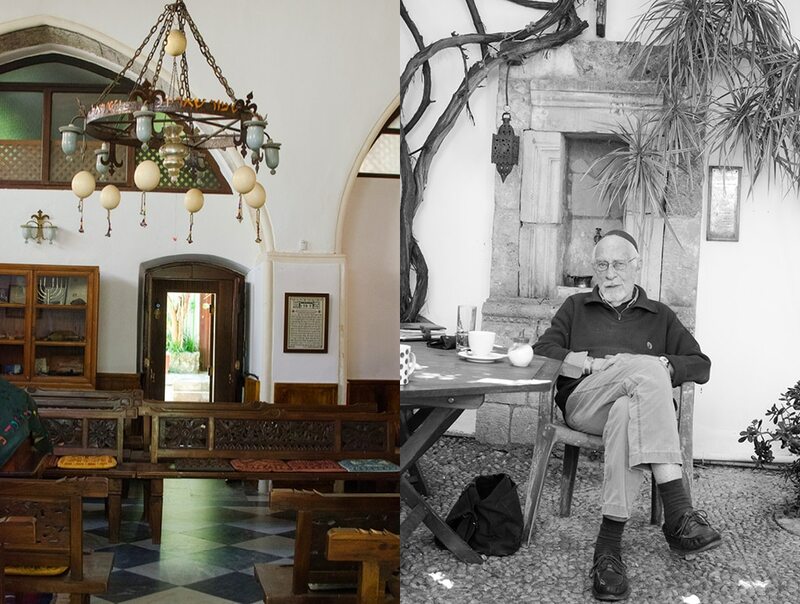 We sat down with Dr. Nikos Stavroulakis in the Synagogue’s courtyard, to talk about the buildings long history. Etz Hayyim Synagogue is the only surviving Jewish monument on the island of Crete. 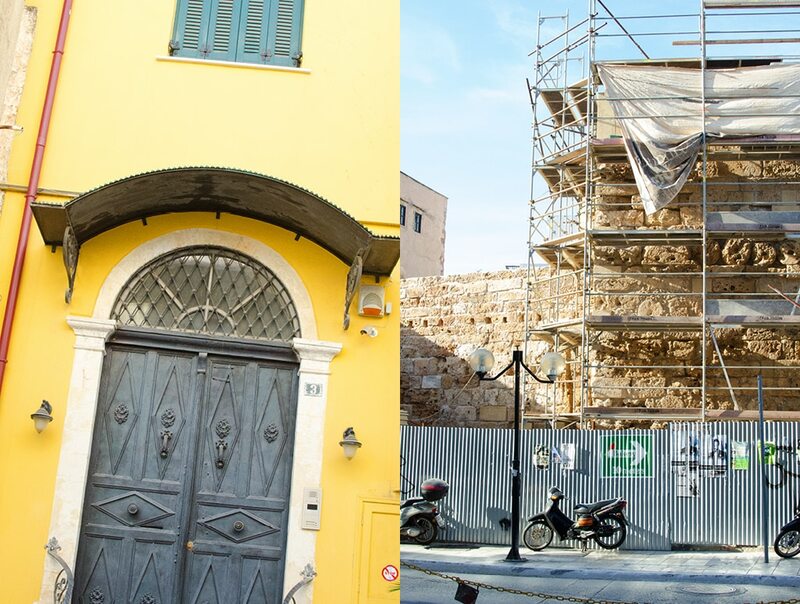 The building goes back to the Venetian period and became a synagogue in the 17th century to serve a vibrant Jewish community living in Chania at the time. For about 2,300 years, Jews thrived in Crete, sharing in its history and contributing to the complex local culture throughout the Hellenistic, Roman, Byzantine, Andalusian Arab, Venetian and Ottoman periods, until near the end of World War II, when the Cretan Jewish community was, decimated. In early June 1944, virtually all the Jews in Crete were rounded up and arrested. Together with some 600 Greek and Italian prisoners, the Jews were put on the German merchant ship Tanais and shipped off the island. Tragically, soon after its departure, the Tanais was spotted by the British submarine HMS Vivid and fired on. The Tanais and all on board were lost. While wandering around, we happened across the Chania Gift shop. Owner Konstantinos Konstantinidis was born and raised in Chania and after living abroad for many years came back home to start a local business. 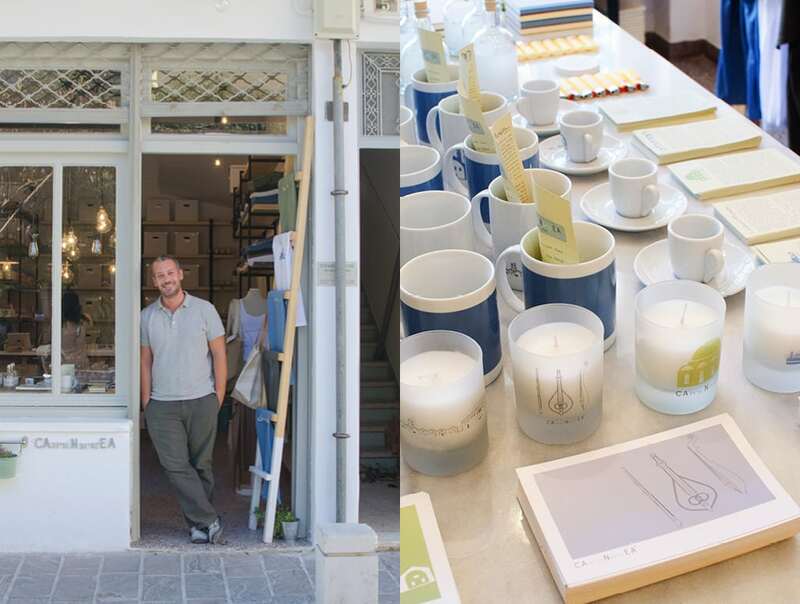 His idea was to make a gift shop that sells unique products that are designed and made in Greece. You will find smartly designed mugs, towels, bags, T-shirts, and notepads: absolutely the best place to get a souvenir to bring home from Crete. I still use my mugs from Konstantinos regularly and remember my time in Chania every time. After talking to Konstantinos for a while about his shop and his great products, he invited us to come by his restaurant, Tamam, to meet his partner. 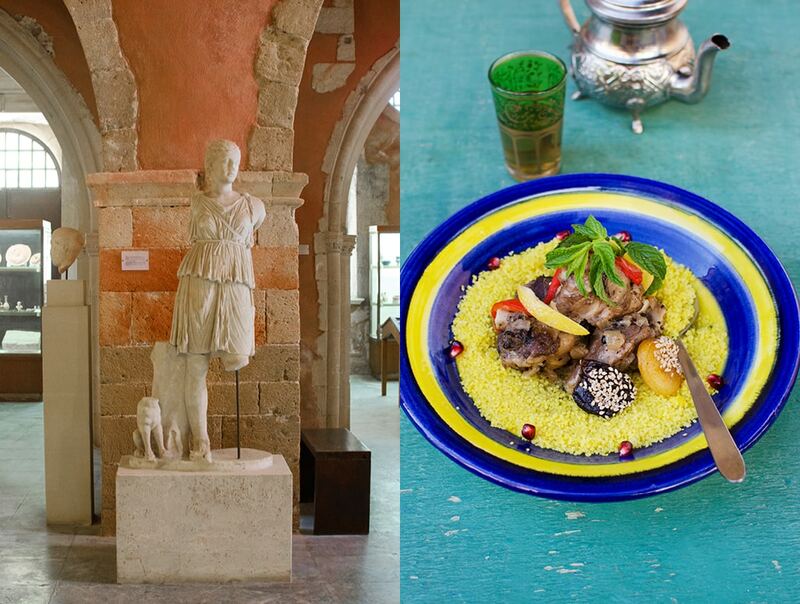 Tamam is quite well known for its authentic regional cuisine. And like his shop, at Tamam, Konstantinos’ mission is to support local producers. 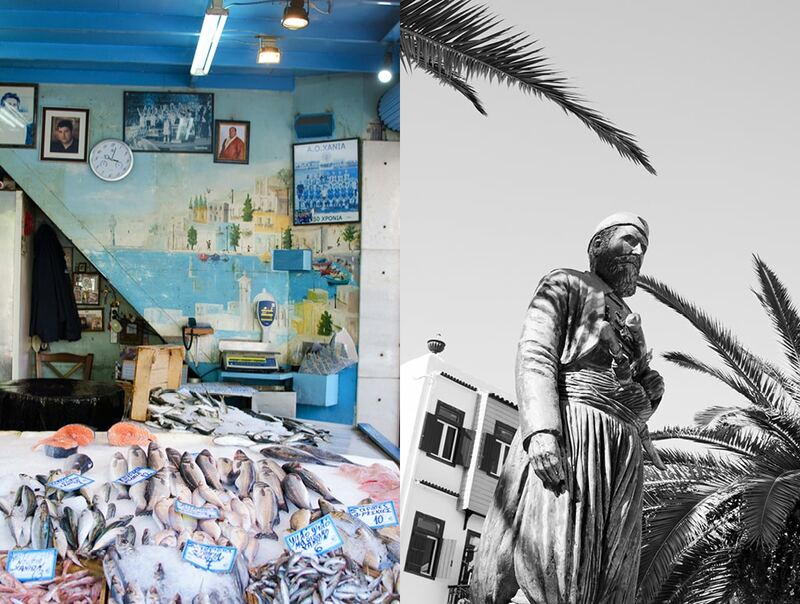 Located one street behind the harbor but still in the hub of the old town, Tamam has been in operation since the 1970s. 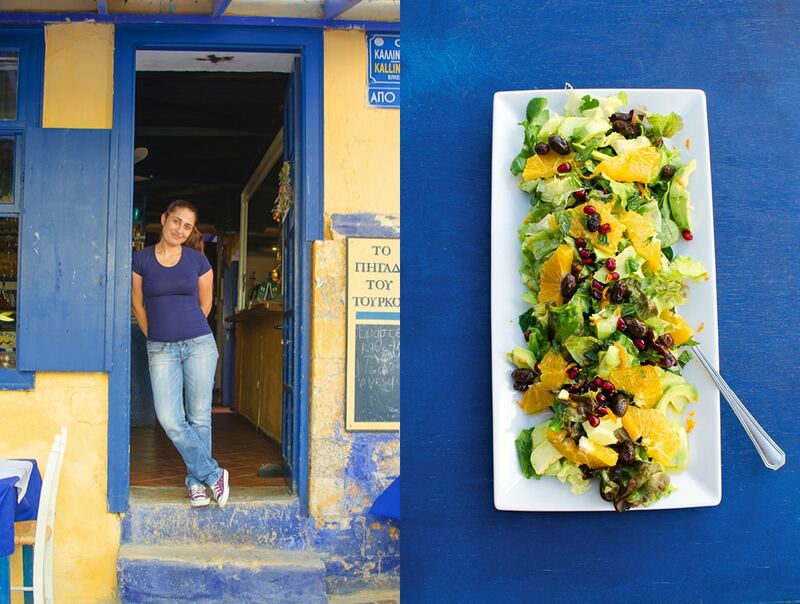 It is still one of the best places to eat in Chania. There are two indoor seating areas across the street from each other. And in-between, a narrow row of tables where you can sit outside and watch the people passing by. As usual, in high season it will be very, very busy, and off-season a real delight. 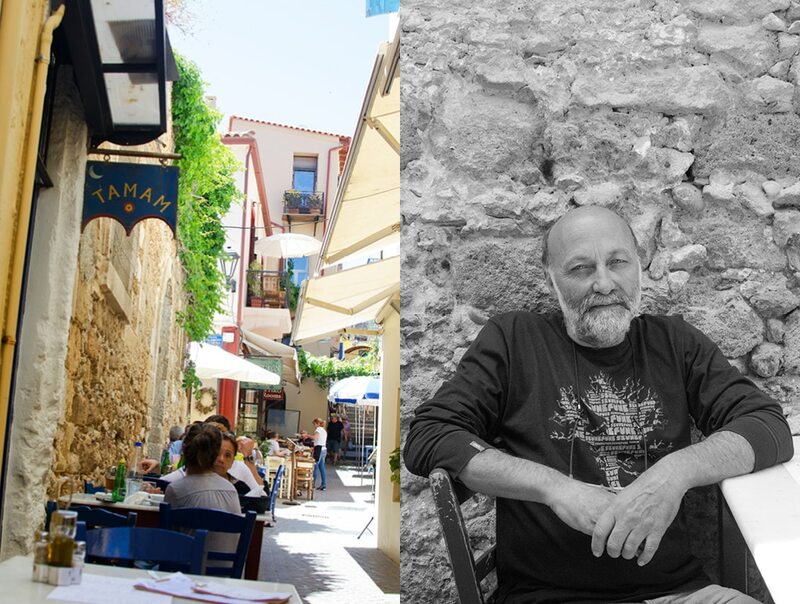 Wandering through the back streets of old Chania, we stumbled across the restaurant, The Well of the Turk, and recalled that it has been recommended to us by friends. 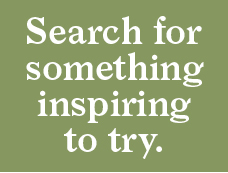 Located in a quiet neighborhood, it’s a great restaurant serving an eclectic mix of Mediterranean and Middle Eastern food. There are many homes for rent in Chania, but we happen to have the inside track on one of the best. This apartment is right in the heart of the old town and owned by an architect husband and wife team living in London. It’s a great place to spend a few days … or much longer. Check the details section below for contact information. A wonderful hotel owned by two fascinating sisters who were born in this house which has been owned by the family for generations. 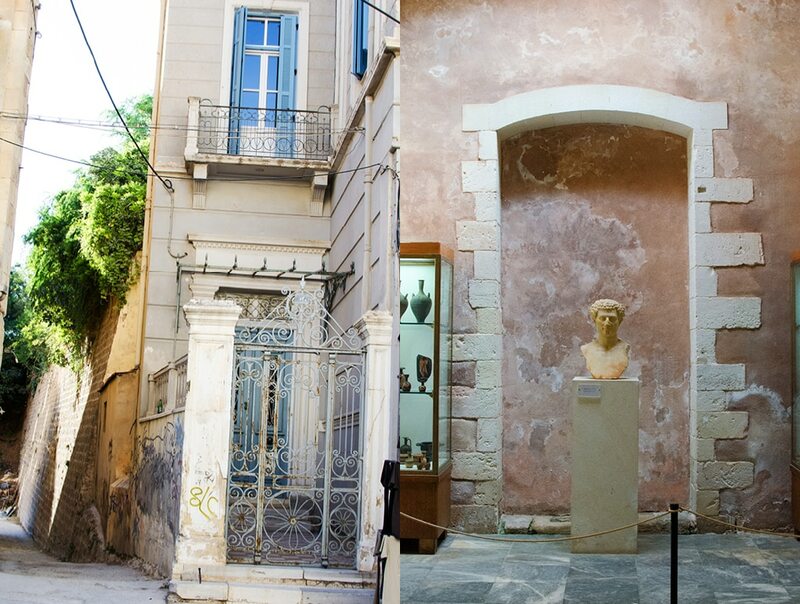 If you are looking to immerse yourself in Chania history this is the place for you. 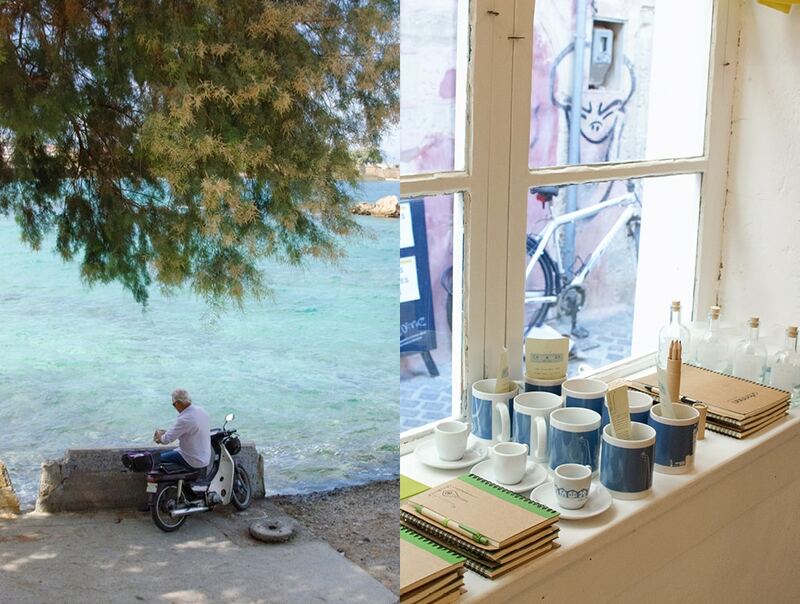 Planning a visit to Chania? Here is the current weather and what to expect for the next few days.